We are constantly adding new shades, check them out here! Increase Your Sales - we can help you increase your Sales, Brand Image and Bottom-Line! RJ Mineral Cosmetic Internationals' have been around for years (since 1998!) in the Australian cosmetics manufacturing market - and for good reason - we make great cosmetics at competitive prices for your brand! Equipped with modern & comprehensive manufacturing equipment and utilities, the facility was fully commissioned in August 2006; offering a combined Head Office, distribution, formulation, manufacturing and packaging site. That's right - all the steps of RJ Mineral Cosmetics, from conception through to the final packaged product is completed right here in Australia! Operating to the strictest international codes of Good Manufacturing Practice and with expanded capacity, products can be manufactured, packaged and supplied in a variety of packaging and sizes, or supplied in bulk as required. 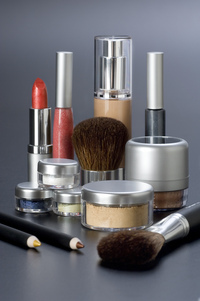 RJ Mineral Cosmetics’ specialised equipment, expertise and experience are available to clients seeking the manufacture and packaging of private label Cosmetics. With the finest ingredients and formulations available today, RJ Minerals out performs and out-prices the competition every time. Just compare our eye shadows vibrant colour and long lasting coverage to that of any leading brand. And when you get over the silky texture and beautiful coverage of our superior mineral makeup, stop and take a look at the price. We could go on and on about what makes our product different and better - but please don't take our word for it - TRY OUR PRODUCTS FOR YOURSELF!